So, I bought half a dozen lemon meringue cupcakes from someone who I met via facebook… They were absolutely delicious, and I thought that I’d never be able to make them myself. How wrong I was. And, unbelievably, they really are simple to make! I was going to keep the recipe I’ve found a secret, but I think it only fair to share it with the rest of the world ha ha. 1. Preheat the oven to 180C / 160C for fan assisted / Gas 4. 2. Prep your cupcake tin with paper cases… This recipe should have made 24, but I put a little more than I should have so I got 18. 3. Cream the butter, sugar and lemon juice together until pale and fluffy. I recommend an electric whisk / mixer as it’s much quicker than by hand. 4. Add the eggs and whisk. 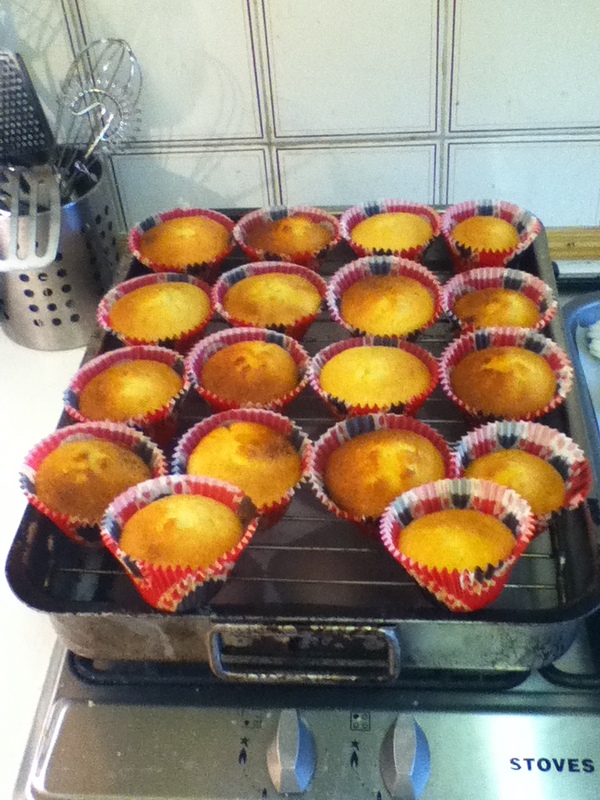 Don’t worry if the mixture looks like it’s curdling slightly… When you add the flour, that calms this down. 5. Add the flour one tablespoon at a time and beat thoroughly inbetween. 7. Place in the pre-heated oven on the highest shelf and allow to bake for 15-20 minutes, or until golden brown in colour and springy to the touch. 1. Preheat your oven to 140C / 120C for fan assisted / Gas 2. 2. Line a baking tray with greaseproof / baking paper. 3. Make sure your eggs are separated and add the whites to a (non-plastic) bowl. 6. Once your mixture now resembles the stiff peaks (if it doesn’t, continue whisking), why not try the “tip the bowl upside-down” trick? I was really cautious on doing this, but my mixture stayed firmly in place. Scoop the mixture into a piping bag and “pipe” into swirls or peaks (or any design you fancy really) on the baking paper. Repeat until you have enough meringues for the cupcakes… Or until the mixture is completely gone (I made WAY too much egg white mixture for mine, but my hubby enjoyed eating the excess meringues I made ha ha). 7. Place on the top shelf in the oven and allow to cook for 30-40 minutes (my meringues had to bake for the full 40 mins!). They should be pale in colour, and (sticky but) firm to the touch. 8. 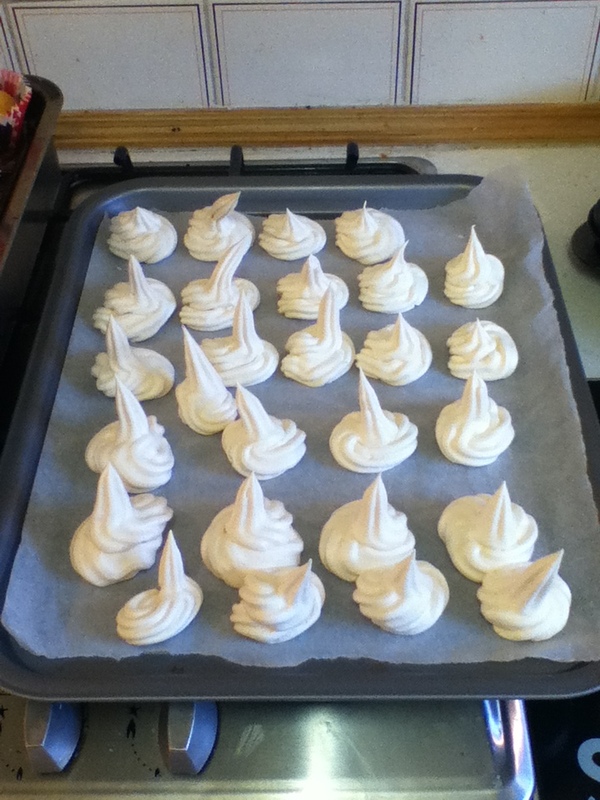 Switch off the oven, leave the oven door ajar and allow the meringues to cool in the oven. 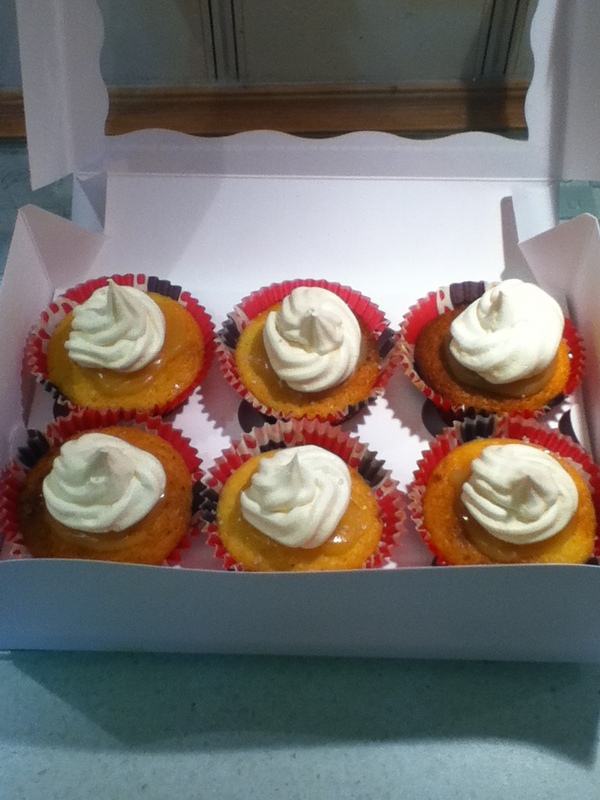 1. use a knife to spread some lemon curd on the top of each cupcake, add a meringue and “Hey, Presto!” Enjoy!